Over the years there have been thousands of hopeful individuals who have dreamed of owning a popular blog that would sell affiliate products instantaneously, induce automatic sign ups, and have a social following that would make even the most lonely of basement nerds feel popular and special. Sadly it’s also one of the marketing strategies online that most people struggle with. Initially, there are just so many things to consider when it comes to building a popular blog wouldn’t you agree? You have to learn SEO, how to craft enticing headlines, the art of writing compelling content, technical mumbo jumbo, themes, html, seriously I could go on and on. However, even with all of these confusing questions taking up mental space in people’s heads, the most recurring one is without a doubt learning how to generate free website traffic. How many times have we heard the saying that traffic is the lifeblood of a blog? So what I thought I’d do today is write a comprehensive list of free strategies that bloggers can use that will slowly get you on the map and finally own that thriving blog you’ve always wanted. Before I begin I would like to say something that, although somewhat upsetting, is the reality of things and is something that you need to accept before I move on. These strategies have been proven to work. I’ve gathered the following strategies based on reading popular articles around the web, webinar trainings and eBooks written by successful bloggers. However they will only work for those who are consistent in implementing the strategy, complete the strategy with a clear intention of what they want the outcome to be (could be a sale, subscriber or comment), and someone who does so knowing that anything online that has to do with the word “free” takes time and patience for results to come about. There is no such thing as a magic bullet or overnight success. If you truly understand and acknowledge that, then let’s get to it and go over how to get free website traffic to your site. If you’re going to share something, make sure that it is helpful to others, and that it can inspire or motivate them in some way. I’ve encountered too many of these self serving posts on Facebook groups to ever take any of them seriously now. Trust me when I say that you are only doing yourself more harm than good if your name is associated with annoying spam. So what you do is you pick one social media platform to master and build up a following on it (keep things simple). I recommend Google+ since it is a vital platform for all content marketers and bloggers and your standing on this platform will actually affect your rankings. Google+ is Google after all so it’s smart to get on their good side don’t you think? Now I’m not saying ignore Facebook, Twitter, LinkedIn or any other social media platforms. Only go with the ones that you truly like and be sure to share your content if you think that it is providing value to the marketplace. When sharing links, engage and ask questions. Provide value and be conversational about it. Share with them how your content will help them. You are not an infomercial ad. So don’t scream benefits and features randomly. Now, you’re probably wondering why you should post on somebody else’s blog when you’re trying to grow your own. Let me just say that guest blogging is one of the best methods to get free website traffic to your blog and is a strategy that will never die out. Right now, your new blog is a lonely island in the middle of the sea. Nobody knows about it… yet. To get the word out you need to publish great content on other successful blogs (relevant ones so to speak) so people can become familiar with your face, content and brand. If your content is successful then people will naturally want to know more about you. In the byline section of your guest blog, there will be a link going back to your website (in most cases you can choose the anchor text which is awesome)and this is where the free website traffic is coming from. You pretty much kill two birds with one stone with this strategy (I hate this saying, I love birds but it’s the only relevant one I could think of) since you will get free targeted traffic back to your blog as well as get a powerful backlink to your website as well! You can read more about guest blogging here if you think this is a fit for you. I’m going to be honest here, I don’t really like this strategy so much but you will get free website traffic that is targeted if you are consistent. I don’t like it primarily because it’s tedious to go through and manually post my article in all of these sites if truth be told. There are a lot of garbage article directory sites out there so you do have to be careful about where you submit your article to. Aside from spreading your content to form a wider reach, there is the additional upside of getting a link back to your website. Here is a listing article directories for you to choose from to submit your article to. 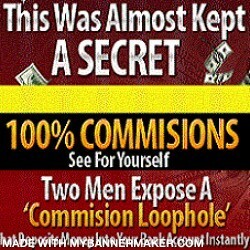 This is a great way to get free website traffic to any site that you are trying to promote. The cool part is it is something that you only do once, but you can reap the benefits for a long time coming if implemented correctly. A press release is, well I could say that it’s an ad of sorts, but I’d say that it resembles more of a very short capture page (no video) in that it explains the product and service and contains a link back to your site at the bottom of it but without the email and name capture feature. You gain traffic to your website through the submission service itself (the one that you used to publish the press release obviously) and through search engine rankings (if you create your press release with targeted keywords and optimize it). Now I know that this point has been rehashed to death but there is something extra that I would like to add about creating amazing content. There are many supposed “rules” out there when it comes to writing your blog posts, like for example your articles should have a word limit to decrease boring readers. This is actually farther from the truth if your content is engaging. The main thing that you need to focus on when blogging is aim to over deliver on value. I know it sounds too simple to be true, but when you put it that way the rest takes of itself. Make it your intent to blow your readers away with the value you will be bringing to the table, and the word count, the subject of your article, and sometimes even your grammar mistakes, will be excused. Also people are more likely to share, and link to, your content if they think that it is a good resource or reference for their readers. Also having great credibility and brand name of being someone who always has something interesting to share is a pretty cool reputation to have wouldn’t you say? The reason why I included this in here is because I see a lot of boring and uninteresting headlines floating around. Not surprisingly these articles don’t get a lot of views and website traffic. This is important because even if you wrote a truly epic blog post, it counts for nothing if nobody is going to read it. So you’ve not only wasted your time but your effort as well. You can read more about how to write kickass headlines by going here. This is a free resource that will teach you how to craft headlines that will undoubtedly get you more traffic to your website. You can also check how well it will impact readers by using this analytics service. I personally believe in spreading the word about your work as far as the eye (or in this case, the web) can see. To put it in other words, you need to promote your article in different formats so that it reaches more people. Not everybody out there likes to read (gasp! ), some people prefer watching videos, others like to digest information as powerpoint presentations. So the idea here pretty much is further reach and more chances of people viewing your content. You can convert your article into a video and post it up on Youtube and other video sites. If you don’t like to show your face, then turn your article into a powerpoint presentation and read it out loud in your video. You can then post your slides in document sharing websites for more free website traffic and views to your articles. You can go here to get a list of the most popular document sharing sites. That’s the 7 ways you can get free website traffic to your blog. Not that hard to implement and if you are consistent with it, you will get the results that you are looking for. Be patient and always aim to create amazing content at all times. It really is that simple. Which one of these 7 tactics did you like the best? Leave a comment and share your thoughts. Also please share this post with others who can also benefit. P.S. If you are interested in learning about how to monetize your blogging efforts, and more tactics on how to build a blog, click here to find out more. 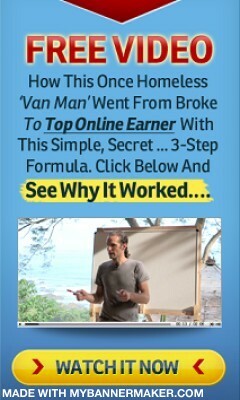 What’s Up with Mike Dillard’s MLM Traffic Formula 2.0?